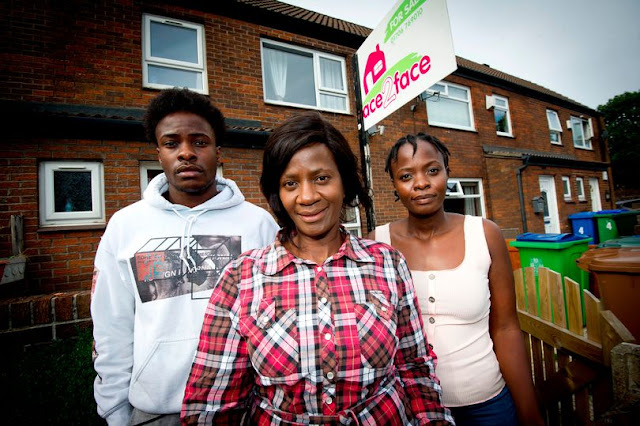 Sickening racist graffiti was scrawled onto a family’s home on the day they moved in. The Kaseses moved into their new home in Greater Manchester on Saturday. They celebrated with a barbecue for family and friends at the new house in Rochdale but the party was interrupted by a 'spraying' noise. 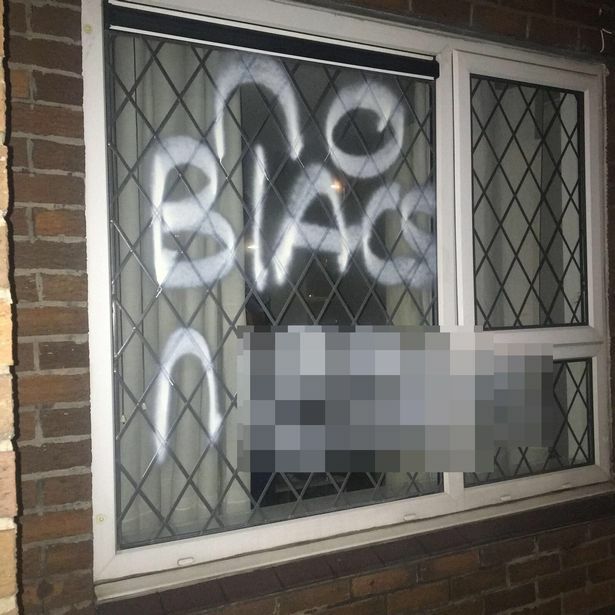 When they investigated they found a disgusting message had been painted onto the window reading: “No blacs n*****s”. The family called police to the house on Leyfield Road in Milnrow and it is now being investigated as a hate crime. Detectives have branded the incident ‘absolutely sickening’. The Kaseses are now planning to move house as soon as possible, but are defiantly telling their story to raise awareness of racism. Lilian Kasese, 24, told the Manchester Evening News : “I think this needs to be told. I have spoken to one or two black people in the area and they said they have experienced similar things. It needs to be told. “We moved in that day. We were having a barbecue with some family. It was a normal day. “My little brother heard some spraying going on. He went to check and said someone was outside. We looked out and we could see two white guys on bikes getting away. The family said they saw could see two white men on bicycles making their way away from the property after the offensive graffiti was written. “This is the first day we moved in to Manchester, we have lived all over the UK," Lilian added. “My brother is 18 - he is more shaken. There seems to be some young boys who have done it. He feels like he is in danger. Lilian, who recently graduated, said: “We are moving out as soon as possible. We don’t feel safe to stay here. The Kasese family, who are originally from South Africa, moved to the UK when Lilian was a baby. Her younger brother Joseph was born in the UK. At the time of the incident Lilian’s mum, dad, younger brother and sister were at the house. The family were living in Essex before they made the move to Rochdale. Inspector Rob MacGregor of GMP’s Rochdale District, said: “This is an absolutely sickening crime, that has deeply upset not just the victims, but local residents who have seen what was written. “Thousands of people live together across Greater Manchester, from different walks of life, and those who write hateful messages will be dealt with accordingly. “We are treating this as a hate crime and are working closely with our partners, Rochdale Borough Council and Rochdale Borough Housing to fully investigate this matter. “If you heard any kind of disturbance in the early hours of Sunday morning, or have information that could help us identify who is responsible, please do the right thing and get in touch.